Leading Exporter of industrial mud pumps, engine- driven mud pump, mud pumps, mud pump and mud monoblock pump from Ahmedabad. We provide a qualitative range of Mud Pumps, which are immensely used in construction, agriculture, waste water management and many other industries. These Mud Pumps are primarily reciprocating plunger devices designed for circulation of drilling fluid down the drill string and back up the annulus. 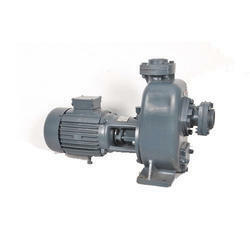 Our range of pumps are suitable for pumping muddy water, sewage, polluted liquids & solids and also in swimming pool. Manufactured using latest technology, these pumps are high performing, abrasion resistant, easy to install and have long service life. Easy to install:- only the suction hose is immersed in the liquid, The pump can be set up high and dry in the most convenient position for inspection and maintenance. 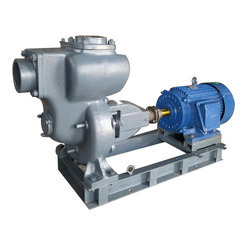 These Mud Pumps are primarily reciprocating plunger devices designed for circulation of drilling fluid down the drill string and back up the annulus. 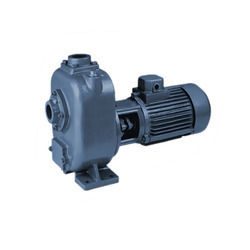 Our range of pumps are suitable for pumping muddy water, sewage, polluted liquids & solids and also in swimming pool. Manufactured using latest technology, these pumps are high performing, abrasion resistant, easy to install and have long service life. Excellant quick automatic action without foot valve up to 8 mtrs. Backpull out design so easy maintainance without disturbing pipe lines. · Excellent quick automatic priming action without foot valve up to 8 mtrs. · Automatic air release during priming. · Back pull design, so easy maintained without disturbing pipe lines. · Dynamically balanced rotating parts ensure less vibrations. · Better efficiency because of good hydraulic design. · Non-clog impellers to handle solid particles up to 16 mm. 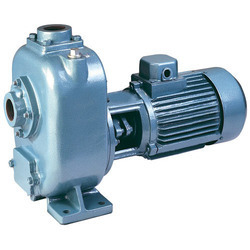 · Minimum parts, fast repairing at low cost, Also pump is available at economical rate. · Also offered pump with trolley / trailer to move it from one place to another. · Graded casting & perfect machining of all components ensure long life. · Able to offer pumps with closed impellers for clear liquids. · Monobloc pumps can be able to with stand with wide voltage fluctuations. · Less expensive & easily available spares.